Hello lovelies! 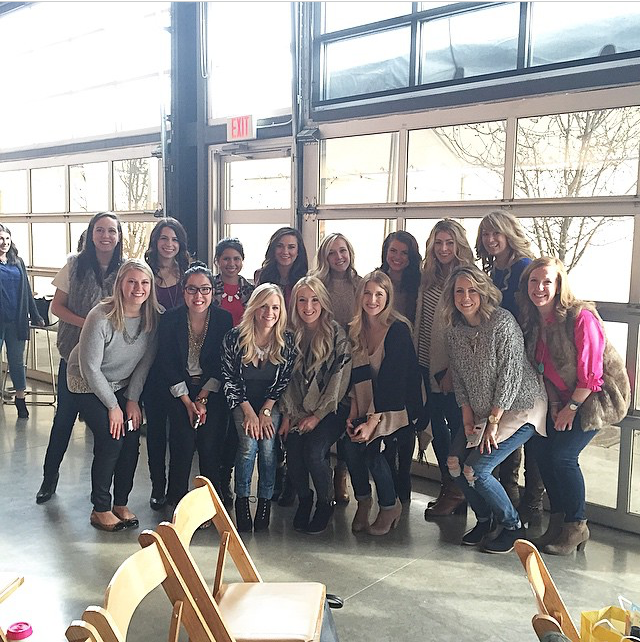 Today I'm recapping a super fun event that I had the privilege to attend on Sunday! 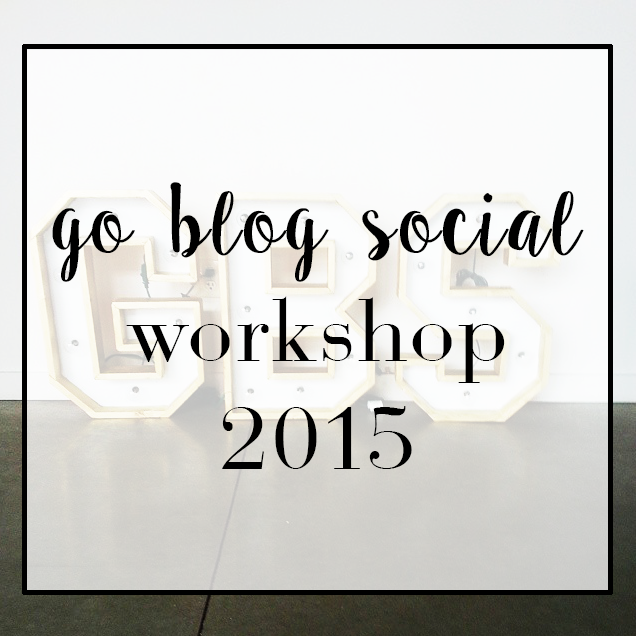 I attended the Go Blog Social (GBS) Workshop here in downtown Kansas City. It was an all day workshop for bloggers/small business owners to learn more about branding, styling, photography and social media. It was my first time ever attending a blogging workshop. It was the perfect first event to go to! I learned so much and met so many amazing ladies! So let's get into what I did! I arrived at 8:30 to check in, grab some breakfast and mingle. 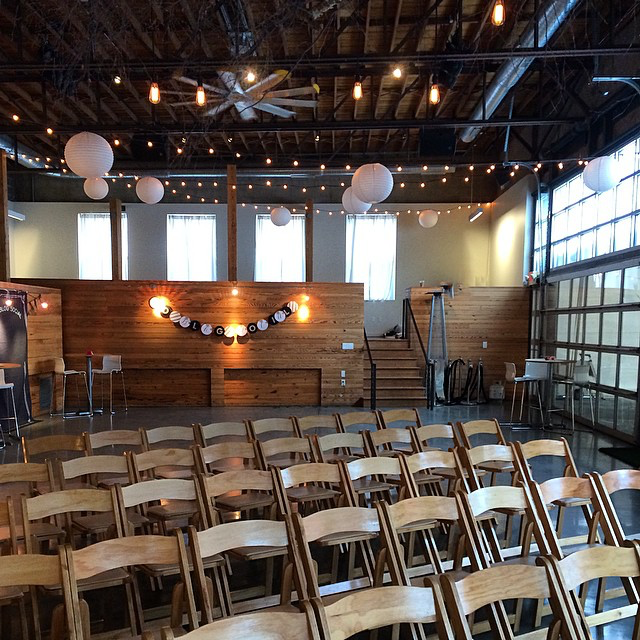 The workshop was held at the beautiful River Market Event Place in downtown Kansas City, MO. It was such a gorgeous space! There were about 10 other ladies already there when I arrived. We all check in and started in on breakfast. Panera catered the treats which were bagels and cream cheese and a delicious danish. In line for food I met Ellie of The Not Quite Adult. I connected with her through the Social Media With Style online workshop and now I finally met her in real life! She was super sweet and it was nice to know a friendly face. We sat together, chatting and eating our breakfast while the other ladies arrived. While at our seats we started talking to Jenna of J.Lynn Designer and Monica of 45 Fairmount. We all were chatting about our blogs, what we did, where we were from, etc., etc. They are amazing ladies so definitely go check them out! 9:45 was the kickoff of the workshop! 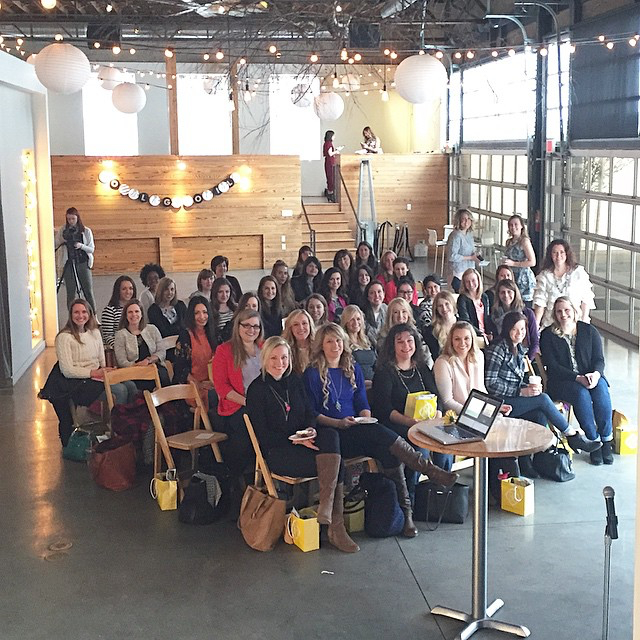 Since we were all networking/blogging women we did a fun icebreaker where we had to go meet 3 new people. I met about 7 women and we all shared what we did, where we were from, etc., etc. This workshop was pretty much all about connecting and meeting new people! From our ice breaker I met Jacque and Courtney, Morgan, Mollie, Valerie, Erin and Leah! 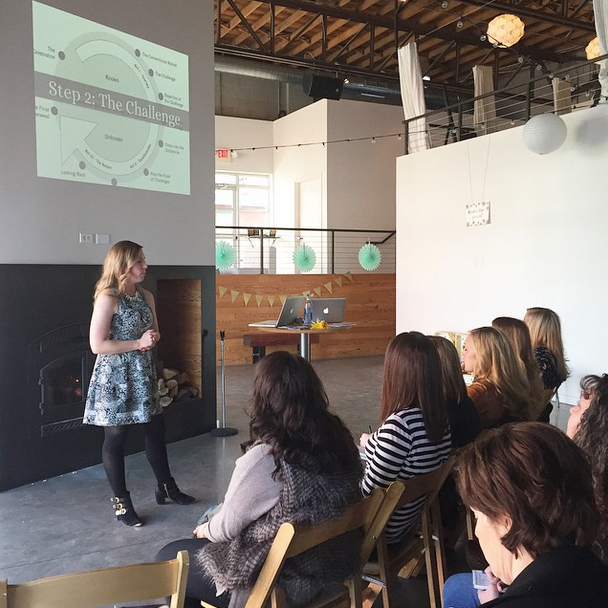 It was nice to meet some other Midwest bloggers and share a little bit about our blog and what we do. They were all super nice and I'm glad I had met them! Our first keynote speaker was Tobe Reed of Because It's Awesome. 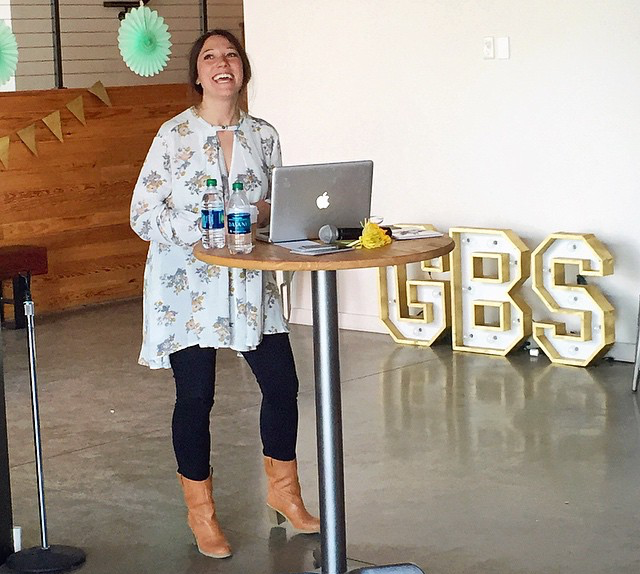 She's an interior decorator blogger (although not so much now since she's a mom), graphic designer for Hallmark Cards, a social media consultor among so much more. 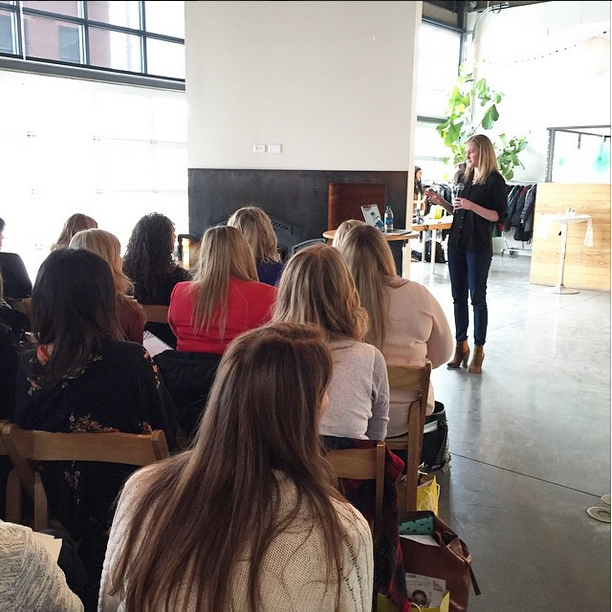 She talked about branding, using your blog for career opportunities and getting yourself out there. She was very insightful and gave a great kickoff message. It got me inspired and ready to tackle the day! For breakout session no. 1 there were two different sessions we could choose: a styling or photography one. 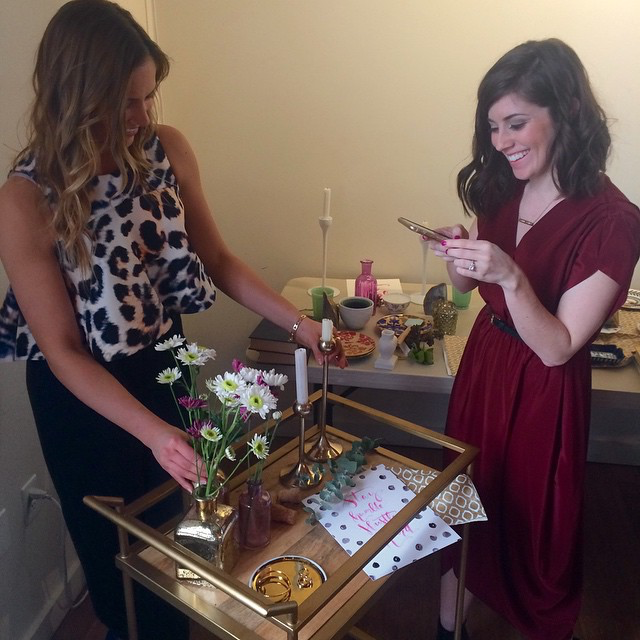 I chose the styling one with Sam and Emily of Styleesque, a fabulous styling duo. In their session they talked about how to style a shoot, wether fashion or objects and the tips and tricks for it. 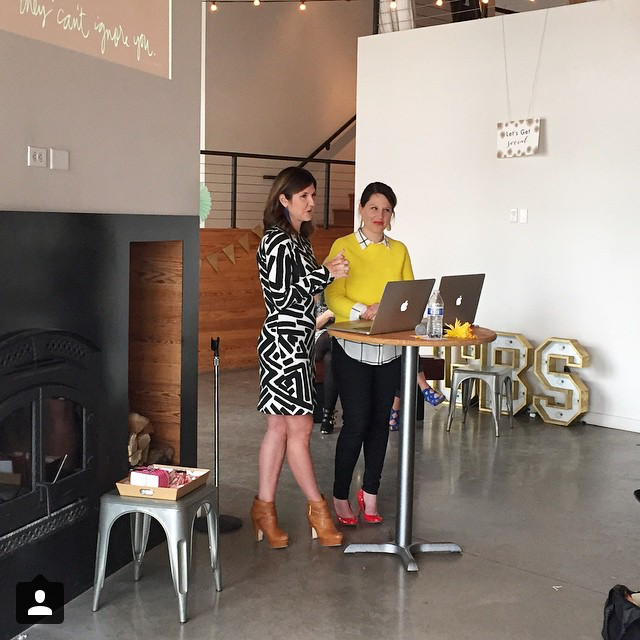 They also talked about how to approach a brand to work with and what are some helpful items to have when styling. I sat next to Ivy of Wake Up For Makeup who's a beauty Youtuber/blogger. She's super sweet in person as she is in her videos so go give her a watch! I also met Kaleigh of Lemon Holiday and Alexandra, who's an industrial designer. After the first breakout session it was time for lunch! 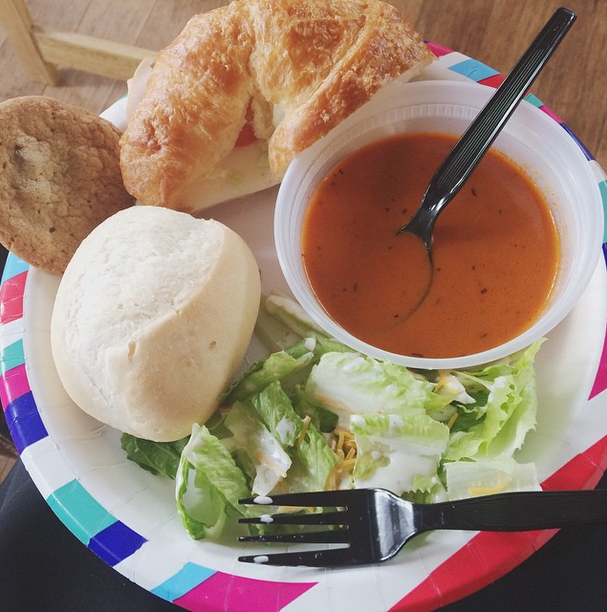 Lunch was catered by Pickleman's, a soup, sandwhich and salad restaurant. It was pretty good and hit the spot. I had worked up quite an appetite! While in line I met Whitney of Confetti Events and Dawn of Joyful Scribblings. Both were super nice and I ended up sitting and talking with Dawn for quite a while. Come to find out she lives about 15 minutes away from me. Small world, eh! For breakout session no. 2 we had one about Instagram or one about Youtube. I chose the Insta one since I don't dabble with Youtube. The speaker was Emily Reinhardt of The Object Enthusiast. Emily is a ceramics artist and uses her Instagram to showcase her art and her daily life. She talked about creating a pretty Instagram and how to have quality images, thoughtful and authentic content/captions. Her session was super helpful and I took a bunch of great notes! Our last breakout session speakers were about blog design/HTML and branding. I chose the branding one with Jenny Singh from Touch of Ambition. I absolutely loved Jenny's presentation! She was super passionate and bubbly and gave awesome notes. Her session was about using your blog to storytell and how we are are all storytellers in our own way. She also used the term 'multi-passionate entrepreneur' which I absolutely love. During our last speakers I sat next to Emmie of Blue 11 Interiors. She was super sweet and I loved meeting her! 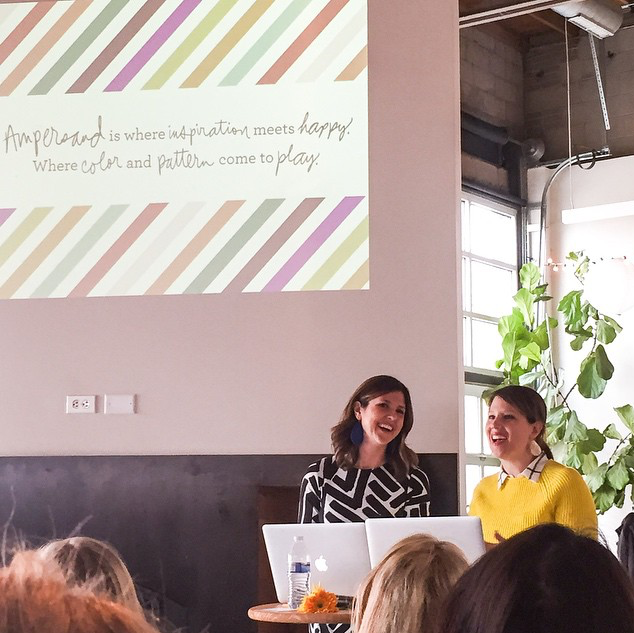 Our last speakers were the hilarious best friend duo, Morgan and Carrie of Ampersand Design Studio. These two were cracking us up! If they weren't successful #GirlBosses they could go do stand-up comedy or have their own reality show. They talked about their journey to where they are today and how to collab with brands/companies. Their story is as inspiring as it is entertaining. Their presentation was a great way to wrap up the day and hit on all the points the other's did earlier. 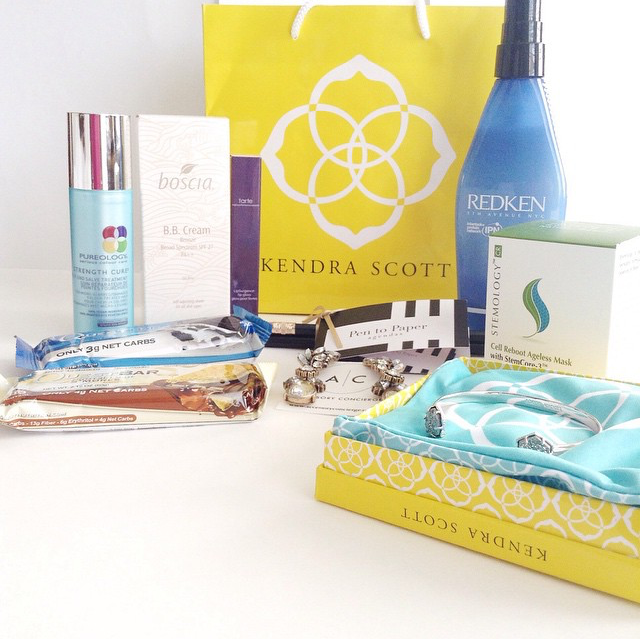 All of the attendee's got AH-mazing 'swag bags' filled with the best goodies ever! This was my first ever swag bag and it couldn't have been a better one! HUUUGE thanks to all of the sponsors for supplying us with such fun goodies! I also met Kathryn, one of the co-founders of GBS. I connected with her via the Social Media With Style online workshop and was estatic when I found out that she lived in KC and hosted this event. We met in real life finally and I can say she's fabulous. She's as sweet as she was online and I'm glad I had the chance to meet and chat with her! I also got to meet Katelyn, a member of the GBS Team and one of the founders of Midwest Bloggers! I had such a great experience at the GBS Workshop! It was the perfect first blog workshop to go to. 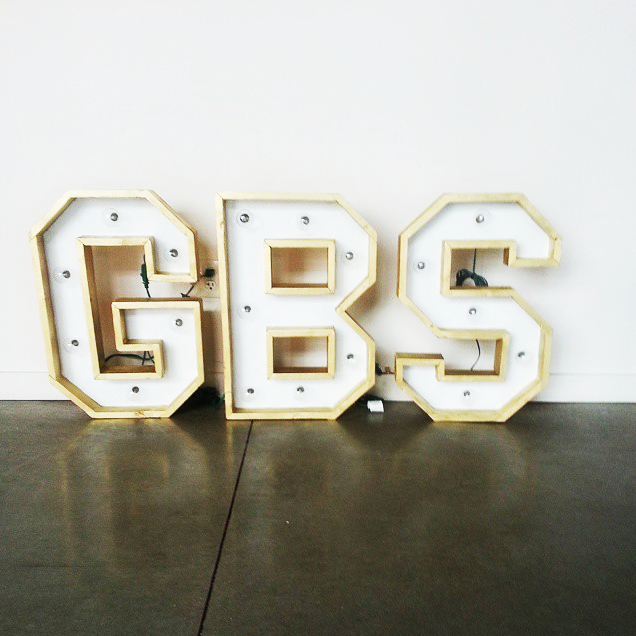 The GBS Team did such an amazing job with everything! I loved connecting and meeting such incredibly talented and inspiring ladies! I think the best part was being around women who were just as driven as you were and you all were inspiring one another. If you have any questions about the GBS Workshop or workshop questions in general I'd be more than happy to answer them! If you've been to a workshop before share your experience by leaving me a comment down below or striking up a convo with via social media, @samantha_goble! "surround yourself with people who get as excited for your success as you do"
Thanks Sonia! I bet there's a blogging community and network where you live! I didn't even know this existed until I started researching and reaching out! Great recap! I'm so happy I got to sit next to you and chat all afternoon!